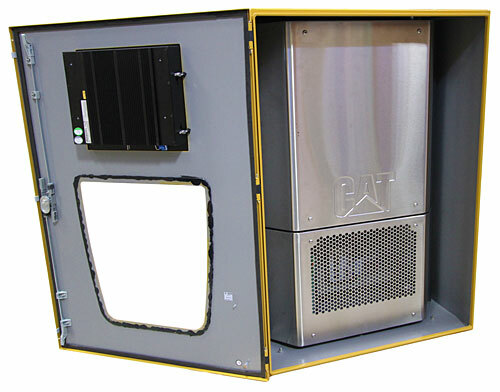 Caterpillar Marine has introduced the new Multi-Engine Optimizer (MEO) tool, which leverages proprietary performance data and patented control algorithms to provide intelligence for power management systems. MEO works by advising power management systems on which engines to operate and enables the use of dynamic asymmetric loads to drive the combination of engines and loads to create the lowest possible fuel consumption. “MEO is designed to operate in conjunction with any system, new or retrofit,” says Theodore Wiersema, business process manager for Caterpillar Marine. “The PLC-based system contains proprietary performance data and control algorithms providing the highest overall fuel efficiency. MEO enables a stable bus while engines of different size and rated speeds simultaneously share load operating at different targeted fuel set points. The cost savings can be quite significant depending on the load profile of vessel and the types of engines on the bus,” continues Wiersema. 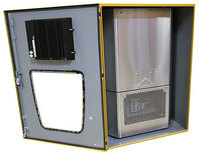 The 700 mm wide MEO cabinet can be installed in an engine or control room and requires less than six wire connections. “MEO is viewed by marine societies as an advisory system and will have type approval certification. As an advisory system MEO can be turned off at any time allowing the existing power management device to return to its normal operating procedures to provide an extra layer of protection and safety,” adds Wiersema. By mixing and matching engines and independent load points, MEO allows engines to provide power at their most efficient point. Compared to the common scenario of engines operating at an equally shared load the MEO system creates an unlimited combination of virtual engine rooms to match each particular vessel load.